Is a visit to a theme park in your travel plans? Visiting a theme park, especially the major ones, requires a lot of planning, but thankfully I’ve got some great tips to make your next travel experience a healthier and happier one. 1. First of all, you must drink. Drink more. Then drink more. In Florida, the heat index was 110 degrees yesterday. If you’re walking around outside all day, you need water – LOTS of it!! Heat exhaustion is a very real possibility and one you should not take lightly. Bring your own reusable water bottle to the parks to keep ice water cool and refill with water fountains later in the day. If you must buy drinks, be sure to buy water, and not sugary sodas. Don’t like the taste of water? Bring along flavor packet add-ins, such as NOW Foods’ Slender Sticks. They pack a lot of flavor punch in these tiny packets made with Stevia. Oh, and you get a lot of vitamins and antioxidants, too, which you really need to stay healthy and fueled for travel anywhere. 2. Bring some healthy snacks. 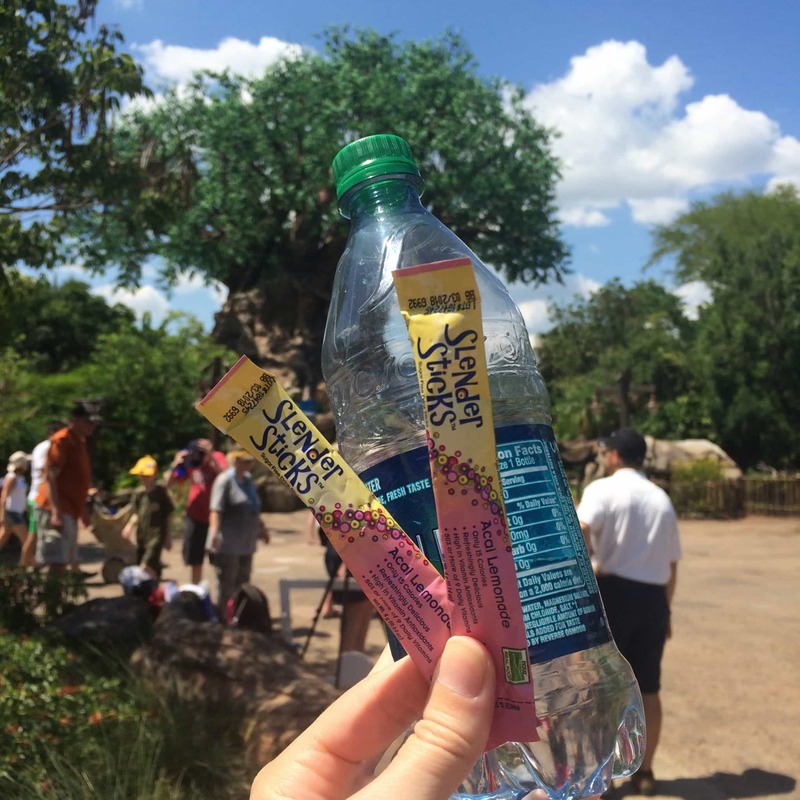 Theme parks are getting better about adding healthy options, especially Disney’s Animal Kingdom, but they’re few and far between and sometimes you get hungry while waiting in line and can’t easily get out of line to go buy an expensive snack. 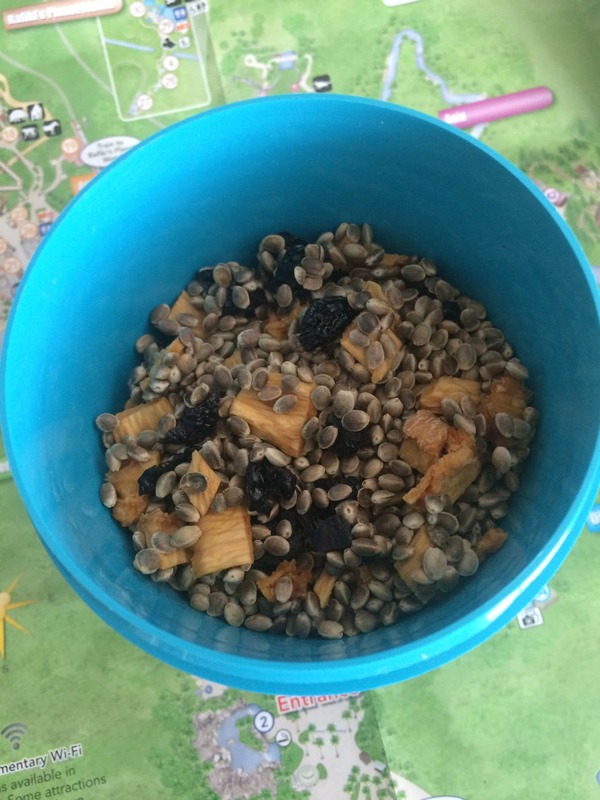 I like making a trail mix using Organic Toasted Hemp Seeds. I’ve posted my recipe here, but there are all kind of flavors combos you can pack for snacking all day. Or, plan ahead and make some cookies and granola bars using allergy-friendly flours, such as All-Purpose Gluten-Free Flour, for a sweet treat when the kids want an ice cream bar that they see advertised. Note: Do not use chocolate chips in the heat of summer 🙂 Trust me on this one…..
3. Consider using a protein shake in lieu of breakfast. Going to a restaurant or snack stand and waiting in line first thing in the morning eats up valuable time of the day – the same time when lines are short at theme parks and you can do twice as many fun things as you can later in the day. 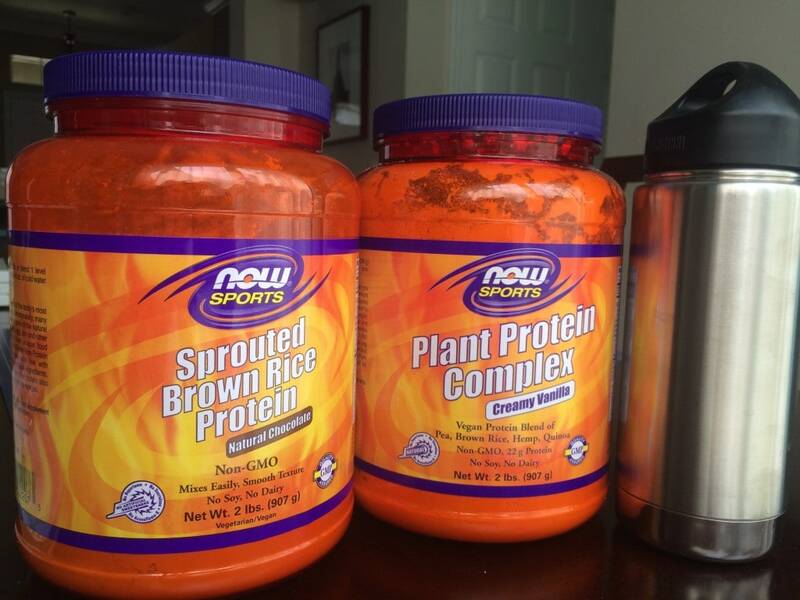 Bring along some protein powders (such as these from NOW Foods) and mix them up in a water bottle to drink while you’re driving to the theme park, in line, etc. Even better, bake up some of these fiber-filled Breakfast Cookies made with NOW Foods’ Gluten-Free Flour to pair with the protein shakes for a filling, yet portable, breakfast. 4. You’re going to need some sun protection – and healing salves for skin exposure to the elements. Even if you don’t get a sunburn, being outside walking around all day is rough on your skin. Soothe dry, irritated skin with a Vitamin D-3 Cream. 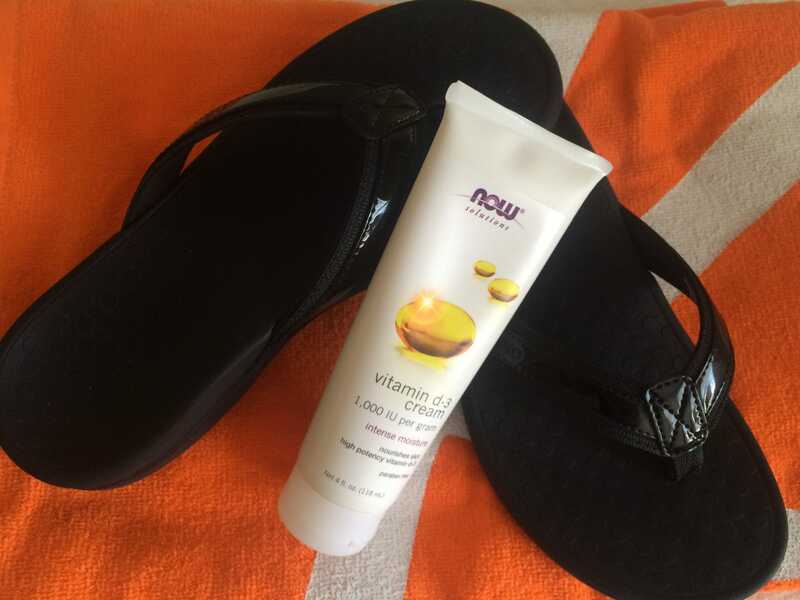 I’ve found it works great on dry feet, caused by wearing flip flops too long. Also great on dry skin from using harsh anti-bacterial soaps in the bathrooms or too much chlorine in the pools. 5. Bring probiotics. Any sort of travel can be hard on the defense system. Using probiotics can help your body’s immunity by adding beneficial bacteria to your gut. Upset tummies, from strange foods and water, might also be soothed by using a probiotic regimen. Most probiotics need to stay refrigerated for maximum efficiency, though. 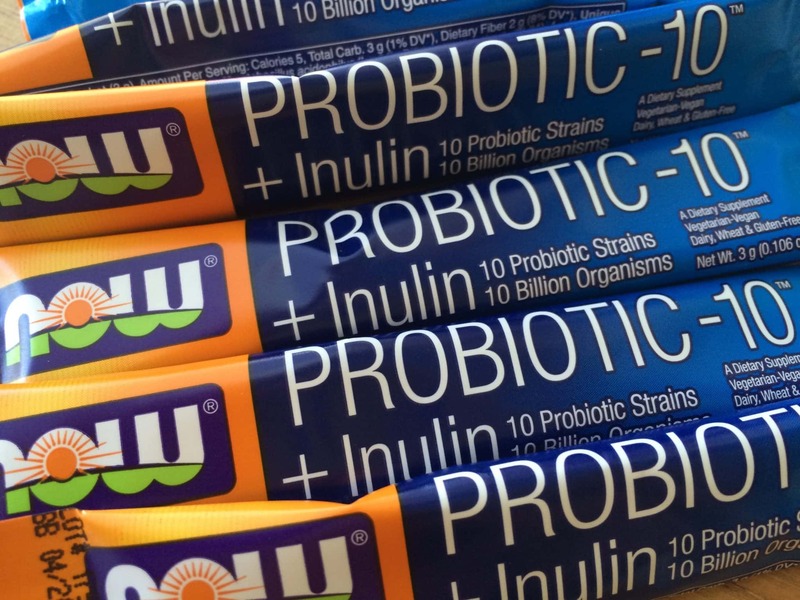 Bring along these NOW Foods Probiotic-10 packets of probiotics to mix into water (add them to the protein shakes above for a one-two punch) with no need for refrigeration. Disclosure: This post is part of a paid campaign for #NOWWellness Ambassadors and I am financially compensated, as well as receiving products to review. All opinions are my own, and I’m happy to share my honest reviews with my readers.